White Peony, Datura, Patchouli, White Musk, Ambrox, Cedarwood, Crystal Moss. 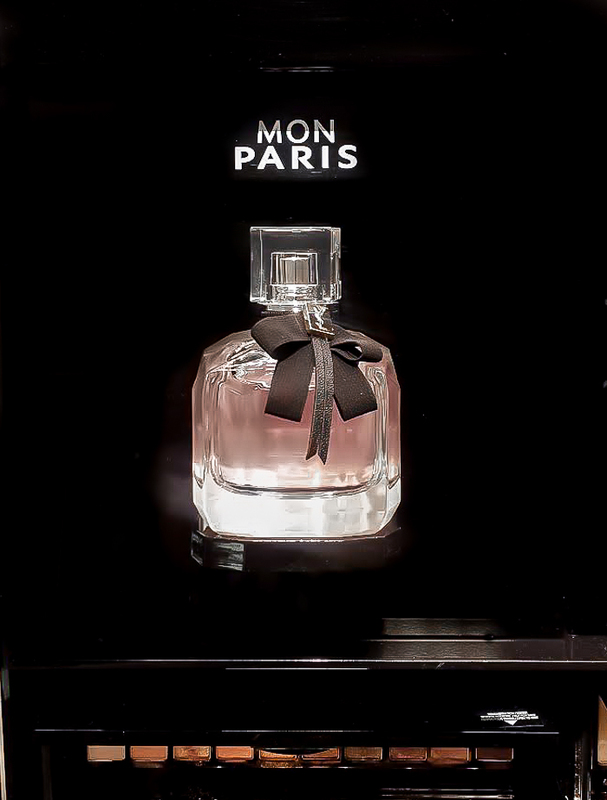 Yves Saint Laurent Mon Paris is a sparkling new perfume inspired by the city of intense love, Paris. The perfume is housed in a multifaceted glass bottle with a black tie around the neck (lavaliere) - a nod to classic YSL fashion. The style is described as passionate, sensual, and sophisticated. Mon Paris is a sweet, sparkling fruity floral which opens with a mix of berries and white florals. The pear, bergamot, and orange flower give the perfume a crispness while the base notes of white musk, moss, cedarwood, and ambrox add a warmth that balances this perfume. Going by the notes, I was expecting this perfume to be another sweet fruity perfume that I feel just a little too old to spritz on. YSL Mon Paris would definitely appeal to someone younger, but it has enough warmth and a velvety caramel-like smoothness to keep it from seeming like just another cloyingly sweet perfume. As the days wears on, the fragrance settles down to a softer floral with the sweet fruity notes lingering in the background. I love the sticky, sweet, ripe fruity notes in this perfume, and I would wear it all summer and into the cooler fall/winter months. I don't have perfumes that smell similar to this, so I see myself being enamored by it for a while. YSL Mon Paris isn't a light perfume, though, and depending on how sensitive your nose is, it can seem a bit too strong for a summer perfume, and I don't think it would be the best perfume to wear to work either. If you love sweet, warm fragrances, do give YSL Mon Paris a try.